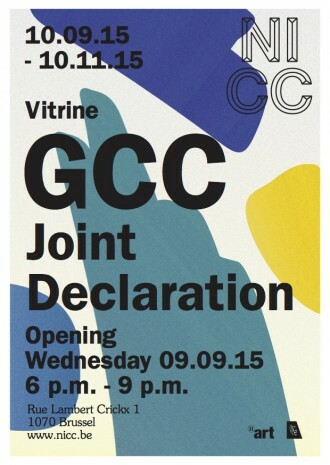 Nicc is proud to present GCC's first solo project in Belgium. "Joint Declaration" will run during the months of September, October and November in the 24H vitrine at NICC. 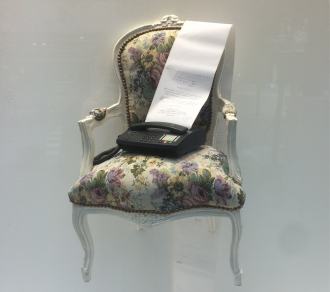 A fax machine, placed on a regency chair, spouts out reams of communiques from GCC to Brussels in the NICC vitrine. 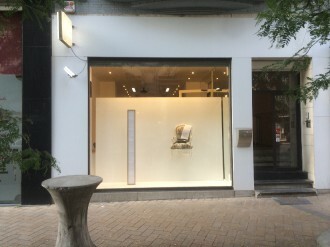 A series of framed faxes of joint council agreements between the Gulf Cooperation Council and the European Union hangs in the vitrine. It features a preamble, minutes and articles gleaned from existing documents and agreements often written as one voice by envoys of the Gulf Cooperation Council and the European Union. This diplomatic legal lexicon reveals the barely veiled tension of an EU desire for further economic liberalisation in the Gulf and a resistance to political interference from the envoys from the Gulf Cooperation Council. GCC members will be sending individual communiques using this language to the rest of the collective, directly to the fax in the vitrine for the duration of the exhibition.